I am excited to announce the kick-off of the HPCC Systems community 10K Trees challenge in conjunction with the National Forest Foundation’s effort to plant 50 million trees across our National Forests by 2023. As a result of the partnership, 10,000 trees will be planted this year, helping the NFF in its mission of promoting the health and public enjoyment of our National Forests. Like many of you, I have a passion for ensuring that there is a healthy, sustainable world for our children, both today and in the future. The importance of trees to our environment, society, and future generations is incalculable. As we all know, trees are a vital component of our ecosystem, and in fact are responsible for storing between one- to two billion tons of carbon dioxide each year. Our forests today are being impacted by a number of factors including active deforestation, change in climate, and natural disasters. Unfortunately, it can take hundreds of years for our forests to be rebuilt and we must take proactive steps to ensure the future health of our forest ecosystems. 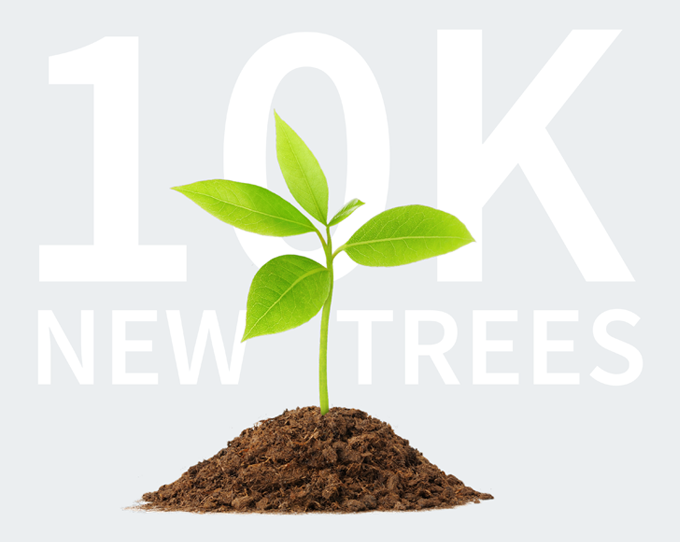 Planting trees is one of the easiest and most sustainable ways to positively affect the environment, making programs such as the 10K Tree Challenge more important than ever. I hope that in some small way, this program will help remind us of the importance of taking a stand for trees as well as increasing and promoting awareness of environmental sustainability. The HPCC Systems community and LexisNexis Risk Solutions diligently support activities to reduce climate change and deforestation and we understand the impact of our environmental footprint. In conjunction with our parent company, RELX Group, we are committed to reducing the impact our activities have on the climate by setting and striving to meet environmental reduction targets, through partnerships and other measures. We are proud to join the ranks of the many other corporations who share our commitment to sustainability and the environment.